A fountain and jet system typically comprises of items such as water supply, water management and water feature. Complete this electronic spreadsheet to ensure that your Fountain and jet systems product information meets the requirements of Level 2 BIM. This is important as it will enable your customers to select, specify and use your products within the BIM environment. Once you have completed this template you can host it on your own website or distribute it to your customers. Please note that we do not host completed product data templates within the BIM Toolkit. Visual information to provide general principles of the design. Showing arrangement of external surfacing materials, and key project criteria to suit a client’s brief. General descriptions would be expected to communicate principles of materiality, scope, colour and context. Expect strategic co-ordination with other professions, such as architects and civil engineers, to show general principles of the design. 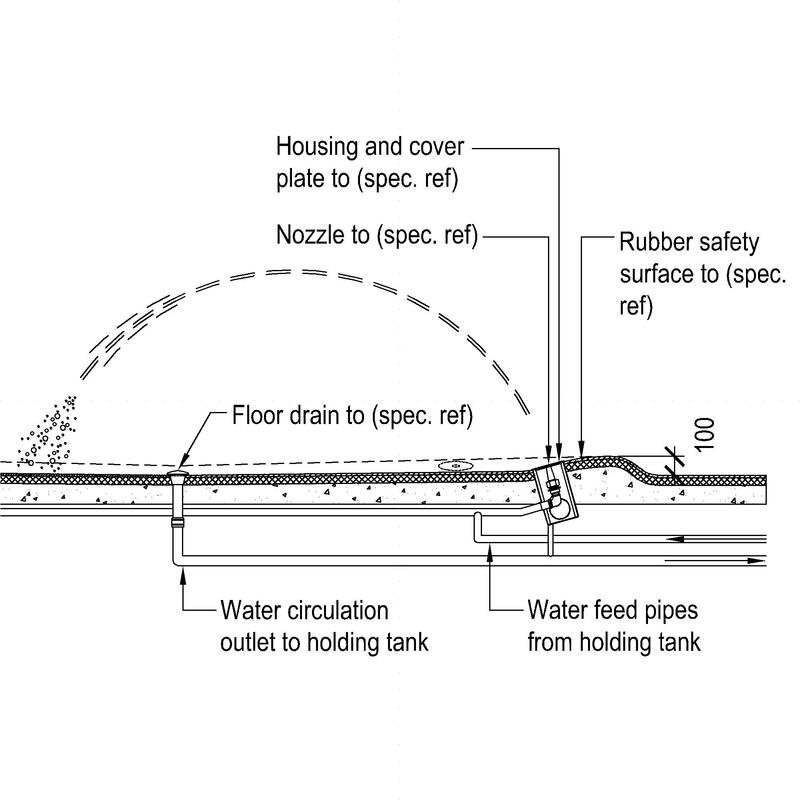 The above illustration is for Water play systems from the NBS section Water display systems. This is indicative of the LOD requirements for Fountain and jet systems. 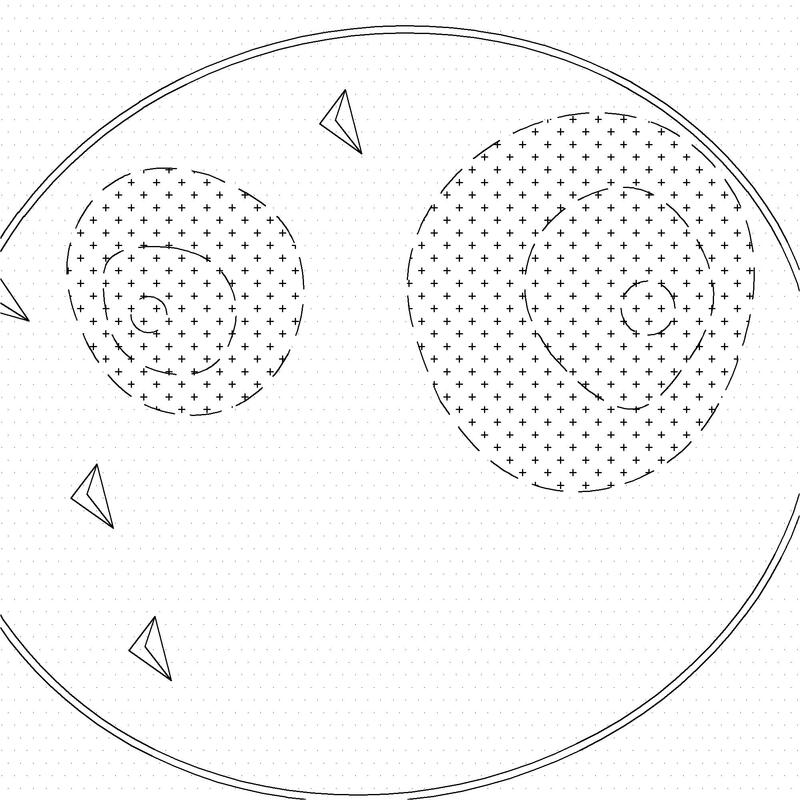 Visual information to provide developed principles of the design to a greater level of detail. Developed coordination between relevant professions, such as civil engineers. Visual development showing co-ordination for general area and primary relationships between other elements of the external works construction. 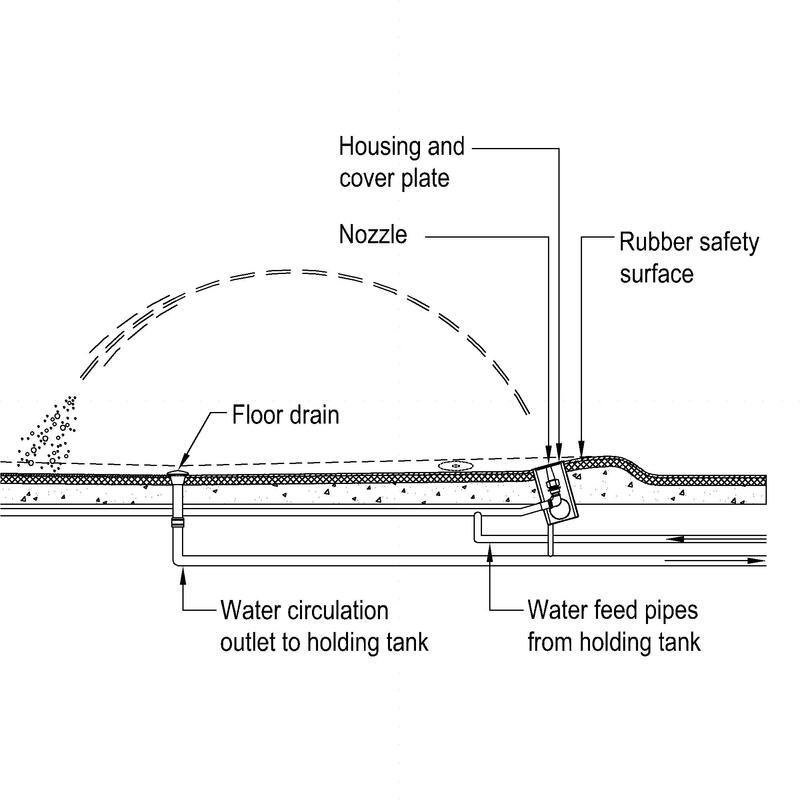 The above illustrations are for Water play systems from the NBS section Water display systems. This is indicative of the LOD requirements for Fountain and jet systems. To be updated during the construction process to reflect the final design. 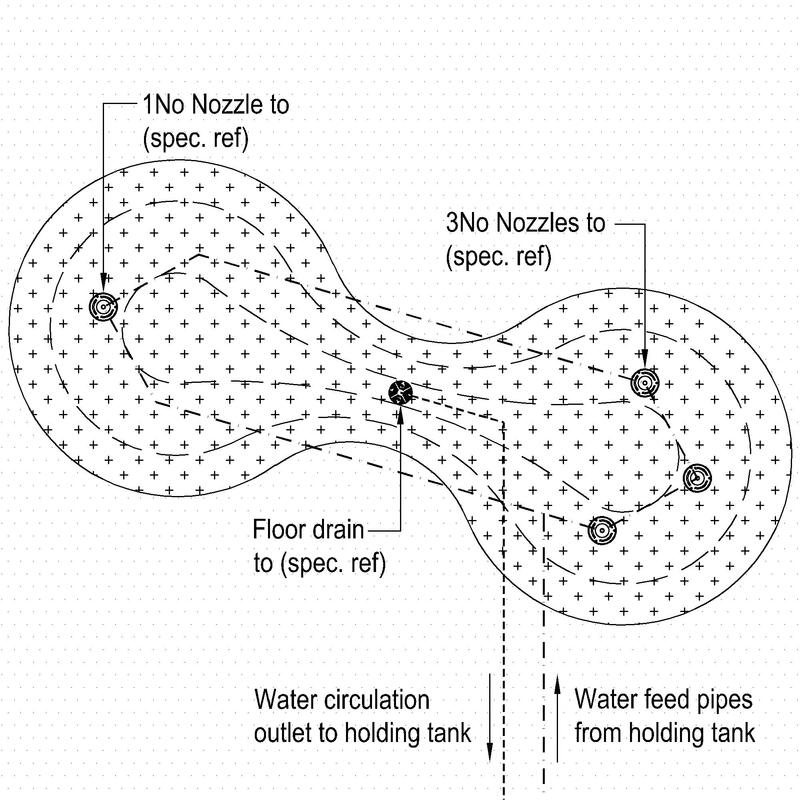 Design of water feature system Design, Proposals and Requirements. Durability Life expectancy (minimum), Operational time (minimum) and Additional requirements. Water supply - Source The Water supply - Source of the Fountain and jet systems. Water supply - Supply pipelines Products such as Copper pipelines. Water supply - Storage Products such as Galvanized steel tanks. Water supply - Float valves Products such as Float-operated valves. Water supply - Backflow prevention devices Products such as Backflow prevention devices. Water supply - Water meters Products such as Water meters. Water supply - Water treatment Products such as Water aerators. Water management - Controls Products such as Water display controls. Water management - Pumps Products such as Close-coupled end suction pumps. Water management - Sump Products such as Galvanized steel tanks. 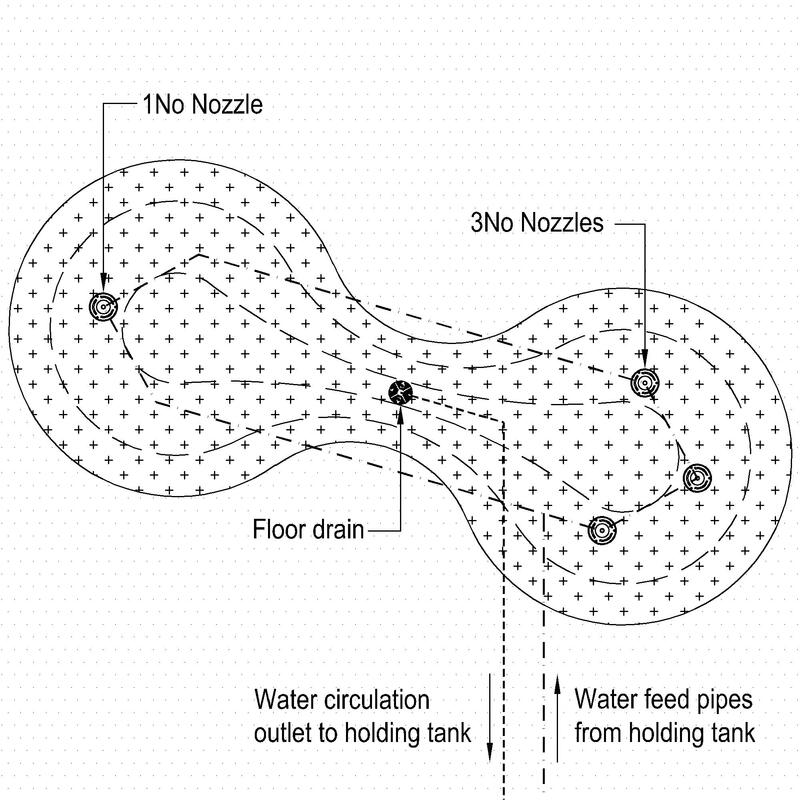 Water management - Reservoir Products such as Pre-formed reservoirs. 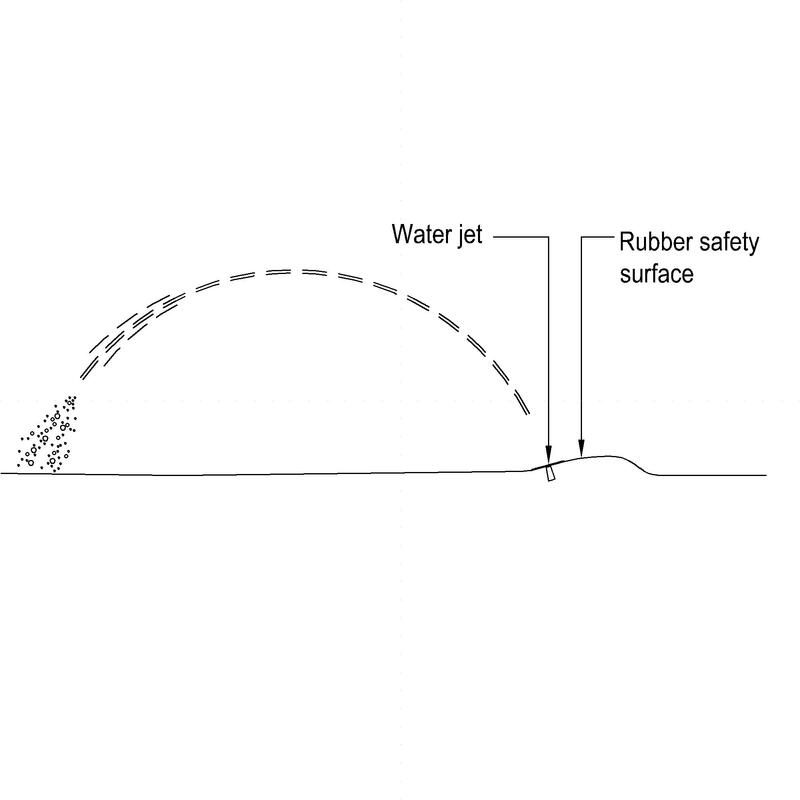 Water management - Overflows The Water management - Overflows of the Fountain and jet systems. Water feature - Carrier The Water feature - Carrier of the Fountain and jet systems. Water feature - Outlet Products such as Laminar jets. Water feature - Finishing Products such as Loose surfacing decorative aggregates. Plant and equipment identification Products such as Warning marker tapes.